"It was a drab, dreary morning when we stepped out from our concrete, slightly faded Art-deco hotel..."
It was a drab, dreary morning when we stepped out from our concrete, slightly faded Art-deco hotel, the Mirador Santana, into the misty streets of Anserma on the first full day of our sourcing trip to Colombia. It felt more like a damp Summer's day in England than a tropical dawn, the overhead cables dripping with water, running off the long lichen-grey epiphytes that flourished up there in this lush cloud-forest. The quietness of this market town broken only by the occasional lone moped whining up the steep streets and disappearing over the hills into the fog. It began, as we toured the farm, with us asking the usual questions: How many hectares? 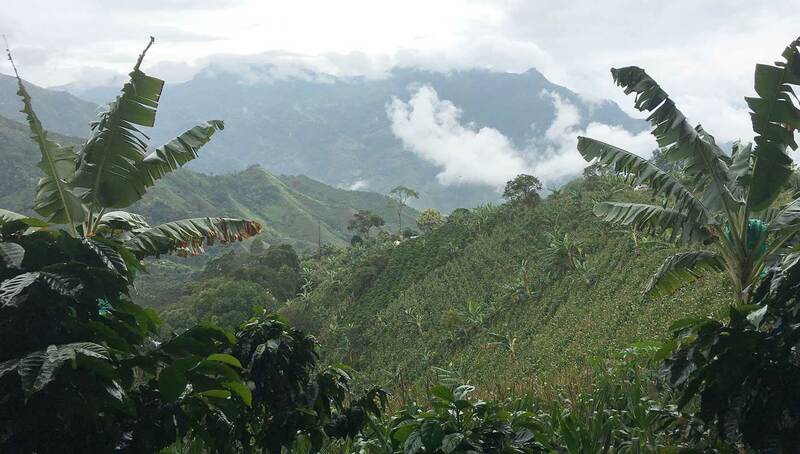 5ha with 3ha given over to coffee, indicating a nice balance of shade-grown bio-diversity to coffee production. How many trees is that? 23,000. An idea was gradually forming in the under-developed schoolboy maths part of my brain. How many 70 kilo sacks is that for export? After determining how many kilos of parchment went to the mill we came up with the magic number of 120 bags for export. This was getting exciting. We use about 10 sacks a month of Colombian Excelso both as Single Origin and as an important blender. Even I could work out that would be 120 sacks a year. The next question was to have widespread repercussions, as I asked: "Can we buy all of Don Omar's coffee?" We all stood joyfully in the pouring rain, tucking into the delicious stew that awaited us back at the hacienda, weighing up the possibilities. 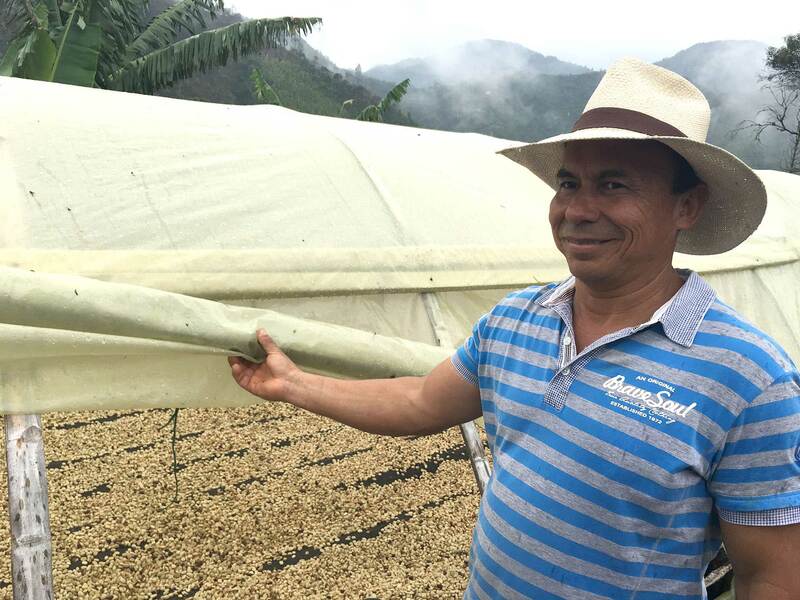 Our partners at origin, Granja La Esperanza, who could facilitate the separation of Don Omar's coffee at the Cristalina Collection Station in Risaralda and then on to the main mill, liked the idea, as did our trading partners who were on the ground with us from D R Wakefield. 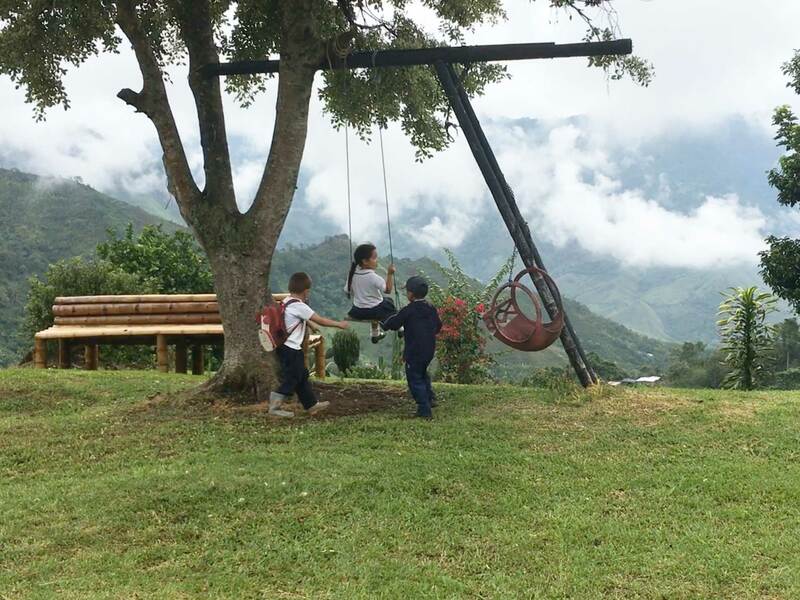 We stayed a little longer at this idyllic spot, soaking up the atmosphere, as Don Omar fed his Tilapia in the fish ponds and the school kids tumbled out of the on-site school to play on the swing that swung out over this beautiful valley. It prompted me to ask another more personal question of Don Omar. Did he have any children in line waiting to take up the running of this remote farm? I had touched a nerve. Between them, he and his brother had eight children, all of whom had gone off to work in the city, Cali. It was, he told me, the greatest sadness of his life. Over the ensuing months the deal was on, then off again, then to the credit of all involved we managed to secure all of Don Omar's coffee for the entire year. Probably the biggest impulse buy of my entire life! Could this hope of added financial security going forward entice any of the family back into the coffee business? We shall have to wait and see but for now we are, thanks to a tightening up of the supply chain, enjoying some of the freshest green coffee we've ever had and because Colombia enjoys a fly crop, the metaca, in between the twin peaks of the main crop, that supply will continue to be fresh all year round. We had a pleasant surprise when we blind cupped this coffee on a table of some of the top offerings from Central & South America. It cheerfully rubbed shoulders with some of our more exclusive & expensive coffees. Maybe we've caught it at the right time to enjoy it at its peak freshness? It is brimming with clean, sweet satsuma, citrus notes and with better levels of acidity than we might expect from a more run of the mill Colombian. It has a warm, walnut burr to the finish that comes to the fore as it cools. On grinding the first roast back at home we were shocked to find another striking element in the aroma. Something distinctively African in orientation. Something blackcurranty, like a Kenyan. What greater compliment could you pay a Colombian coffee, that it still reflected its ancient African ancestry?